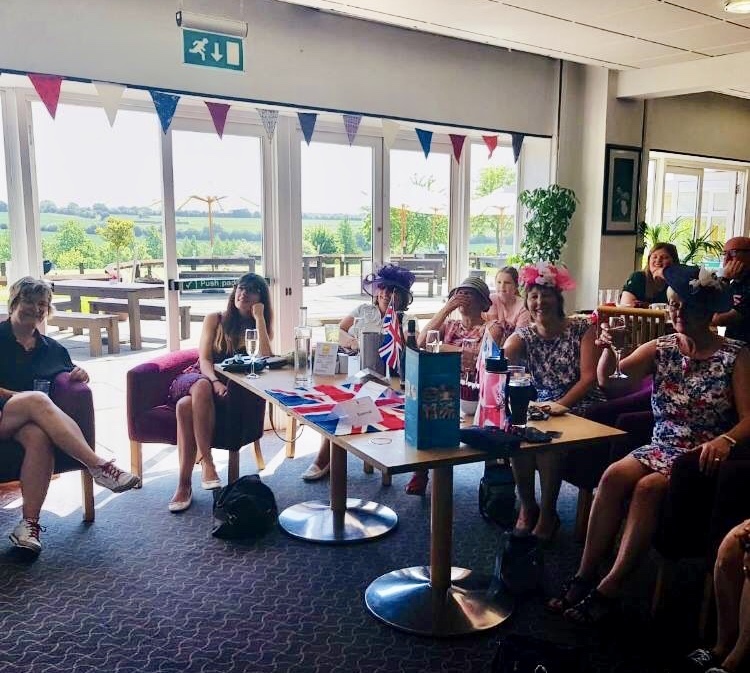 Last week was a busy one with the weekend ladies playing early on Saturday and then watching the Royal Wedding at the club, hats and all! 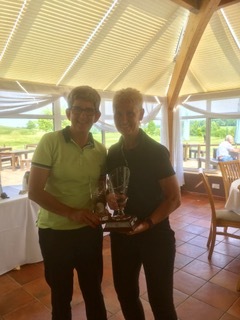 They played for the Spring Salver which was won by one of our newest members Caroline Kaswaurere. Well done! We played another round in the summer Stableford on Tuesday, it was very windy!! And on Thursday the Ladies played their qualification round in the Ping Pairs. Virginia (who played an awesome round) and yours truly came out top but we will have to wait and see if we qualify for the next round in September. Afterwards we celebrated Megan’s birthday with tea and cakes in the conservatory. Thank you Megan. It was a great opportunity to present Julie Retallick with the Price Vase that she scooped with 40 points and a handicap cut of 1.2 the previous week. It’s still not too late to sign up for Charity Day, sponsor a hole or bid in the auction for the 4 ball vouchers. There will be lots more things to spend your money on on the day and preparations are going well....just got to order the weather! 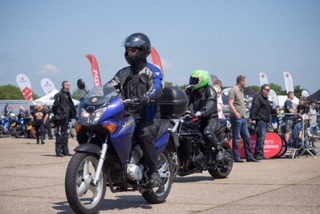 Whilst on the subject of the charity, thanks to Tim for taking part in the Motorcycle Run in aid of the Air Ambulance. Over 600 bikes went from WGC via Chesfield Downs (I stood and waved them all through!) to North Weald Airfield. 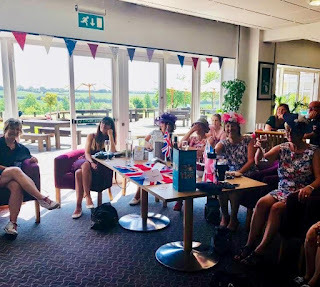 Tim raised £130 for the charity. I am on my hols this week under canvas in Cornwall (taking an umbrella as well!) so have fun and enjoy the Coronation Foursomes and all your other golf this week. It’s a busy time in the season for all....good luck.